place fabric on the lengthwise grain. To conserve fabric, cover only the shape to be cut, not the entire die board. GO! Fabric Chart: Chart below is the recommend number of fabric layers; actual number of fabric layers will vary depending on fabric type and thickness. Care & Maintenance: For best results, always keep your GO! fabric cutter clean and lint free. To clean the fabric cutter inside and out, use a soft dry cloth. Avoid abrasives, solvents and spray cleaners. If necessary, wipe with a damp cloth, then polish with a dry cloth. Use canned air to clear lint from roller area. The GO! fabric cutter does not have replacement parts. 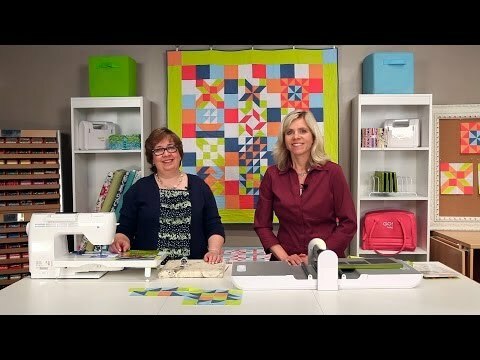 Limited One Year Warranty: We promise your personal AccuQuilt GO! fabric cutter will be free from defects in material or workmanship when used as directed with our limited one-year warranty. If you experience a manufacturing defect within one year after purchase, AccuQuilt will repair or replace the cutter at no charge. Improper use, excessive wear and tear caused by commercial use and/or damage caused by the user will void the warranty. This warranty covers only the cutting unit--not mats or dies. To receive a replacement unit, return the cutter to the place you purchased it.